Ryan Liu is a 14 years old freshman at Northwood High School in Irvine, California. 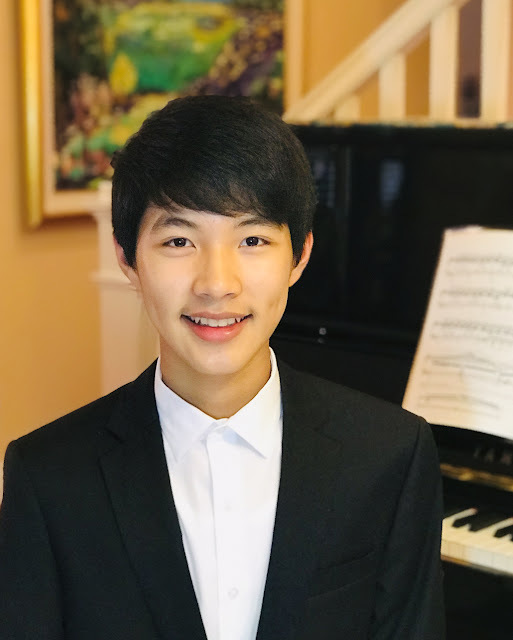 Having developed an early love for music, he began his piano studies at the age of six under the guidance of award-winning pianist Dr. Emily Hung, and has since received numerous awards in piano competitions. Ryan has won first place awards in many MTAC Festivals including the Classical and Romantic Showcases; first place in Complete Classic Works in Southwestern Youth Music Festival; first place in CAPMT Honors Audition, and third place in the CAPMT State Final; first place in Branch Southern California Junior Bach Festival; and was most recently awarded first place in the MTAC Sonata Competition. Additionally, he was selected to perform in a masterclass under the world-renowned piano pedagogue Jane Smisor Bastien. Ryan's music performance has also been featured on the KAZN radio as part of ""The Music of Chopin"" program. To Ryan, music serves as a source of inspiration and expression, and as an output for his creativity and imagination, firmly intertwined within every level of his life. In addition to his passion for piano performance, Ryan also plays the cello. He is an active participant in Pacific Symphony Santiago Strings, IUSD Honor Orchestra, and SCSBOA All-Southern California Honor Orchestra. Through Musicians United for Service and Entertainment, Ryan also performs music with a chamber ensemble for charity and at senior centers.